GROVETOWN, Ga. - May 3, 2018 - PRLog -- Global Entertainment Technology, Inc., ("GET"), a Wyoming C corporation, is happy to announce that Christopher Hagen will be joining GET's "brain trust" of creators and providers in a variety of different areas and be a major resource for the company. GET CEO, Dain Schult, states "Christopher and I go back to the early Eighties when we worked together at WSRZ FM in the Tampa Bay market. 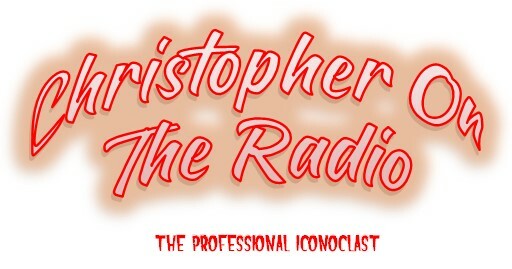 While Christopher was involved in advertising sales with the stations, he was also providing programming assistance with commercial production and a weekly movie review known as "Saturday Night at the Bijou" that was always insightful, funny and chock full of double entendres. This was a feature he repeated during his time in Dallas, Texas radio too. "A storyteller at heart, whether they are real or not, Christopher has over forty years of broadcasting experience to supplement his serving as an award-winning writer, advertising executive, producer, voiceover talent and SAG-AFTRA actor with parts in The Lone Ranger, A Million Ways to Die in the West and Better Call Saul among others. "As a radio talk show host in Florida, he co-hosted a radio dating show... some marriages actually resulted from that. Christopher claims that a woman called the station one day and said that he was the only thing that made her laugh during her pregnancy, so she named her baby after him. As a radio commentator on politics, lifestyle and generic he even racked up two death threats while on air in Tampa Bay and Dallas. "Christopher was raised in a small Minnesota town (he went to the same high school that Garrison Keillor went to), the child of a pharmacist and his wife. His mom took over and ran the drugstore when his father passed away. A graduate of Northwestern University, he has lived in Chicago, Brooklyn, the Tampa Bay area, Minneapolis, Dallas and currently Santa Fe, New Mexico where he is involved in advertising sales as well as on-air commentary with a local radio station. "Having someone of his talent, caliber and irreverence will bring all kinds of elements to both GET's Terrestrial and Internet Radio stations. GET can benefit from Christopher's talent and creativity on and off the air and he can certainly interface with several proposed short form weekend programming elements as well. He will be able to assist not only AIR, but also Amerirep, Radioactivity and Influentia. "We're very pleased to have Christopher join forces with us." For more information about Christopher Hagen and his participation with GET you can contact Dain Schult, GET's Chief Executive Officer.